So what will the special announcement be?! Has the White House reconsidered its response to the “deport Justin Bieber” petition? Will Beyoncé admit that she’s not a real blonde? 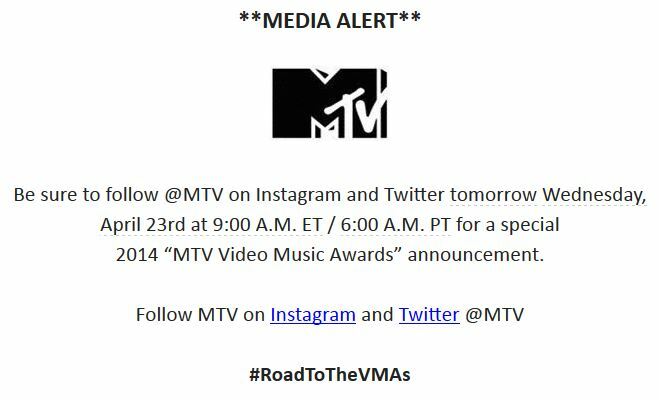 …or will the super-secret host of the 2014 Video Music Awards turn out to be a teen pop star whose name we barely know? We’re not sure. But this might be the most direct call-to-action style release we’ve ever read.